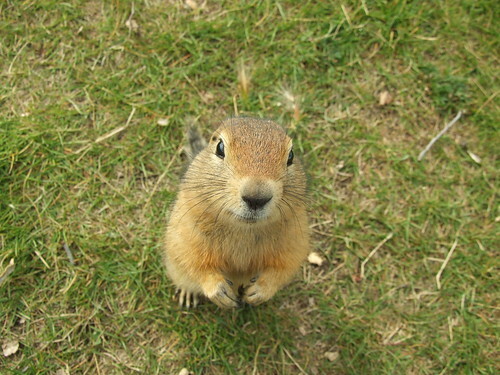 This adorable little critter, shown here begging for a hand-out in Alaska, is the Arctic Ground Squirrel. In the winter, these little guys go into hibernation, and their body temperatures drop to an unbelievable 26.4 F, according to the Alaskan Department of Fish and Game. That, my friends, is the lowest known temperature of any mammal. Most mammals would be frozen. Scientists are apparently clueless as to how these fuzzy guys do it. Although one big clue is that they practically double their body weight come late fall.